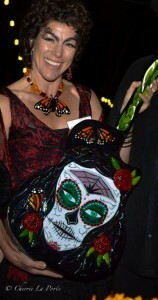 What great supporters of the Ecolife Conservation Foundation you are!! 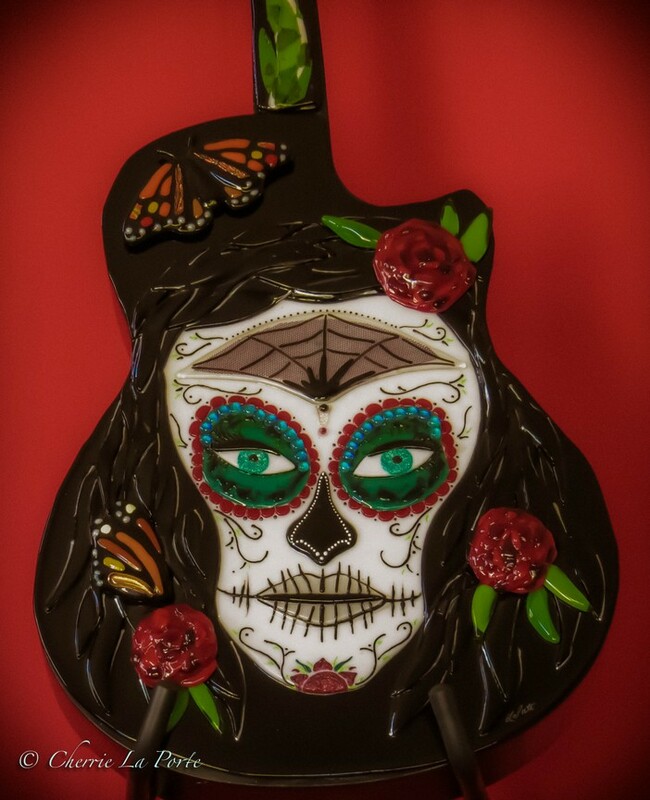 The collectible fused glass guitar donation by Cherrie La Porte was created especially for the Ecolife Foundation’s Dia de Los Muertos Celebration fundraiser auction, is a flamboyant symbol of honoring the dead, music and to give Hope. 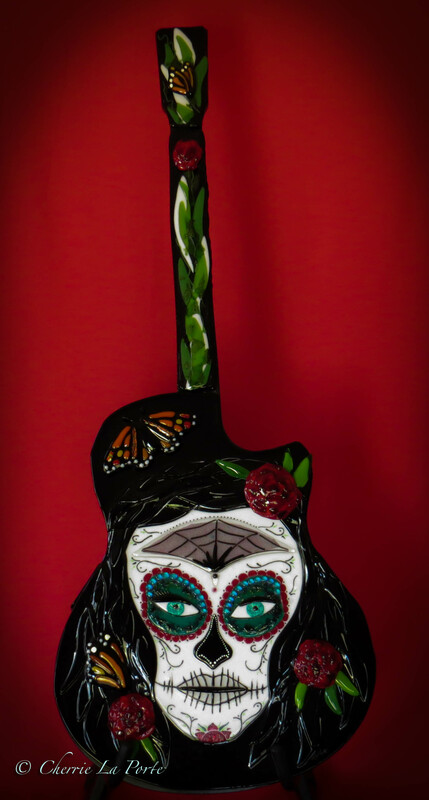 Cherrie’s inspiration came from a combination of forces to merge into her design and fabrication of “La musica de La Catrina”. With the passing of her father this year, this glass sculpture is to honor him and another artist / musician friend that made his transition just weeks before she made the sculpture. 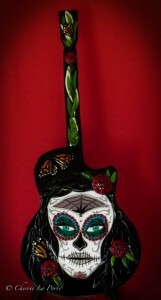 With her love of Mexico and their traditions, encouragement from her friend Etoile Presnell and boyfriend Jorge Ayala and the the spirit of her blessed Father and friend, this beautiful symbolic fused glass guitar came together eloquently to be offered for auction is hopes of raising money for the EcoLife Foundation’s program in Mexico. The collector of this unique piece of glass art will treasure it and it’s story for years to come. 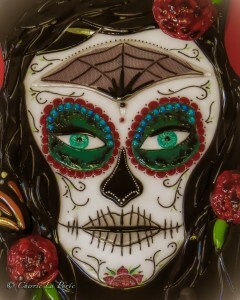 She hopes you will consider donating generously to the Ecolife Foundation and their programs.